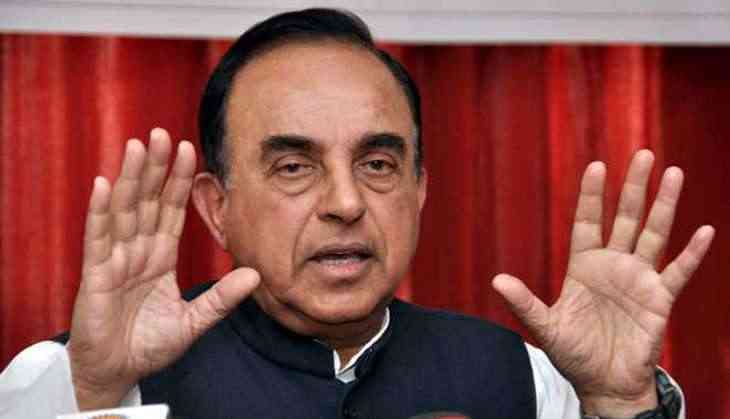 Bharatiya Janata Party (BJP) leader Subramanian Swamy on 6 April once again described Delhi Chief Minister Arvind Kejriwal as a thief and a cheat with regard to observations made in the Shunglu Committee report on gross misuse of power by the Aam Aadmi Party (AAP) government in Delhi. "Kejriwal is a '420' and we don't have any hopes from him. So, there is no use of commenting on him," Swamy told ANI here. Section 420 of the Indian Penal Code (IPC) deals with cheating and dishonesty and invites a prison term of seven years and a fine. This is not the first time that Swamy has called Kejriwal '420'. On November 8, 2013, he tweeted, "Let us rename Kejri as Shri 420." Swamy also grabbed headlines when he equated former Delhi Lieutenant Governor Najeeb Jung with Kejriwal. "In my opinion, this LG of Delhi, Mr. Jung, is unsuited for this high post. He is another 420 like Kejri. We need a Sangh person in Delhi," Swamy tweeted on August 30, 2016. The three-member Shunglu Committee, set up by former Lt. Governor Najeeb Jung, has unearthed irregularities in the allotment of land by the AAP government, and alleged that the party allotted a residential house to one of its ministers under the guise of office accommodation. The committee also raises a question on the allotment of 206, Rouse Avenue - a minister's bungalow used as party office - to AAP. Allotment of Type-V quarter to an MLA Akhilesh Pati Tripathi for accommodation purpose also gets a mention in the report. The Committee has also said that Delhi Commission for Women (DCW) chief Swati Maliwal has been provided accommodation despite not being entitled for one and no approval of the Lt. Governor was taken for the same.